Last night after practice, the Wando High School Marching Band got a big surprise. 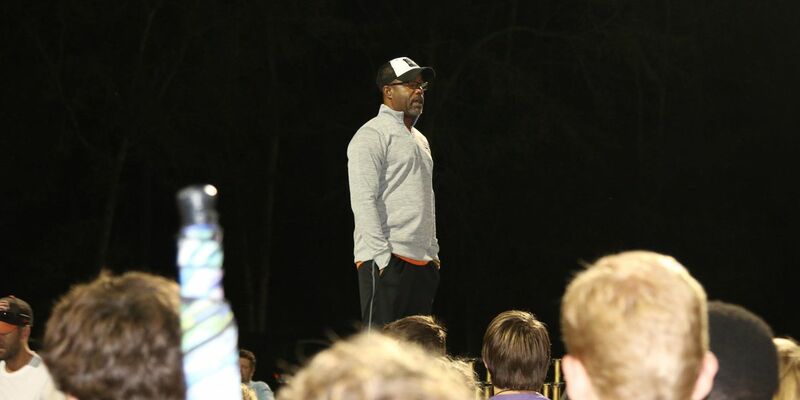 A visit from Darius Rucker! The Grammy Award winning artist congratulated the band on finishing in second place on October 29th at the Atlanta Bands of America Super Regional at the Georgia Dome. He also wished the students well for their upcoming performance for the Grand Nationals on November 10-12. Before the band heads to the Grand Nationals in Indianapolis next week, they will hold a public performance tomorrow at 8:00 PM at the Wando Stadium.